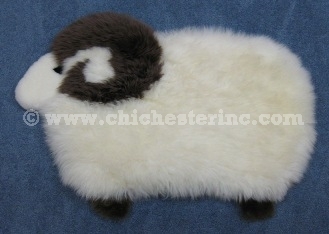 Click HERE to see the back of the "Little Sheep" rug. Click HERE for a comparison with a Coke can. 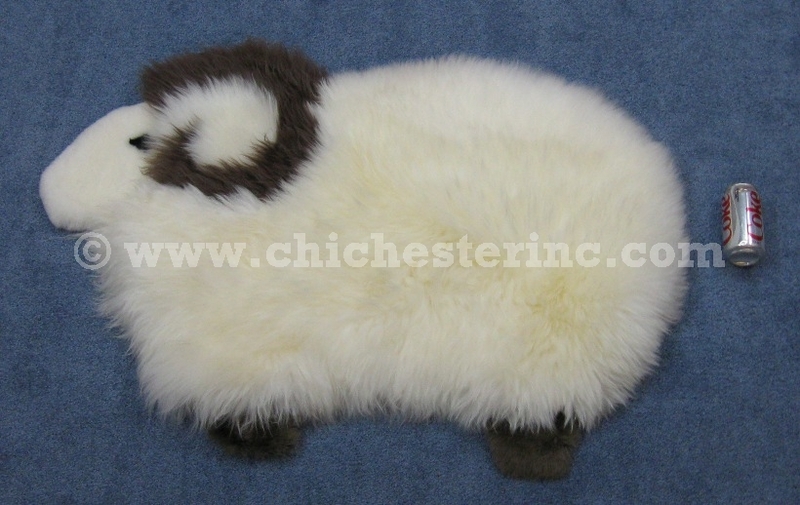 These unique little sheep rugs are made using Australian sheepskins, which are soft and luxurious with a clean and supple skin. 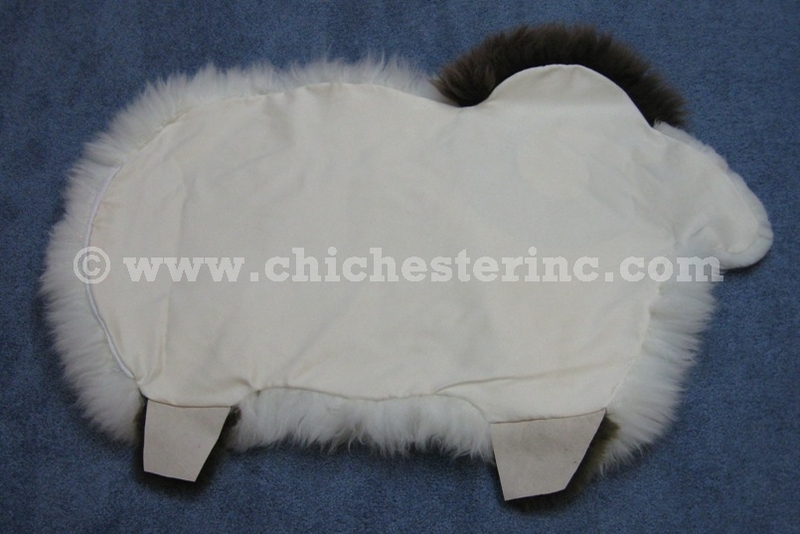 The rugs are 40" long and 22" wide across the middle. The eyes, horns, and legs are dyed black sheepskin.